How will we live in the future? What will the world of tomorrow be like? What will we wear? What will we eat? What will we be fighting for? This publication is an eclectic mix of very different ideas. It brings together the worldʼs most visionary artists, designers, architects, writers and future scientists to share their equally realistic and utopian, serious and playful, political and poetic perspectives for a ‘new world’. The exhibition project Planet B presents alternative designs for the future and an exhibition as a living organism. 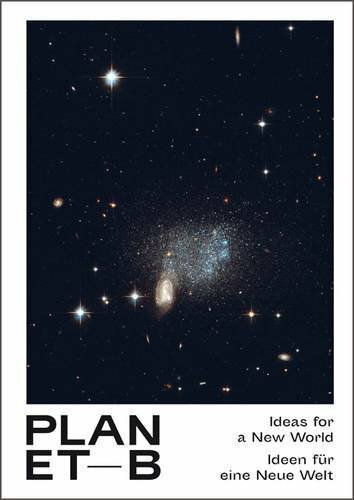 It engages with the radical changes to our planet – and looks for a ‘Plan B’ – for the future we are all dreaming of. Some 500 years after the publication of Utopia, a novel by Thomas More, artists, designers, architects, researchers and entrepreneurs present their utopias for the 22nd century. Food hacking, the smart city, alternative economies and sustainable consumption – with their projects, the artists highlight alternatives and drawing our attention to social, ecological, political and economic injustices. Text: Bieber Alain. cm 16×23,5; pp. 240; 95 COL e 22 BW ills. ; paperback. Publisher: Buchhandlung Walther König, Köln, 2016.